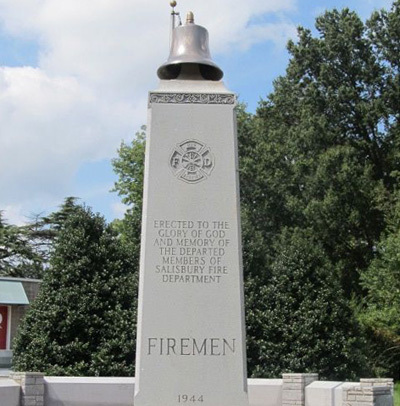 Description: The Firefighters Memorial is a commemorative site consisting of a central obelisk with a fireman's bell mounted atop, a low wall, and benches. 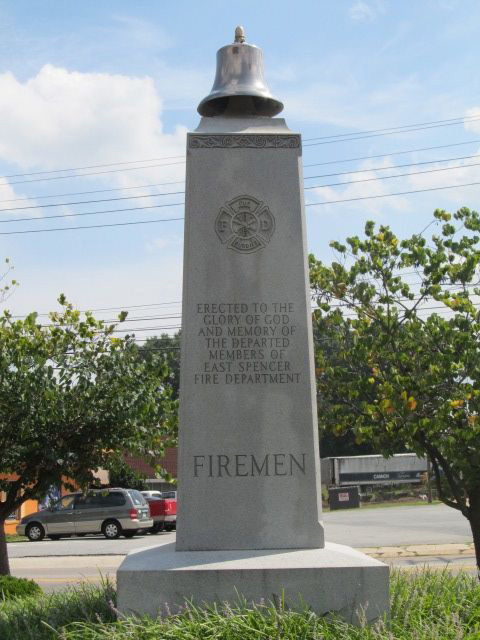 The site is dedicated to local fallen firefighters, including Victor Isler and Justin Monroe who lost their lives fighting a fire in 2008. 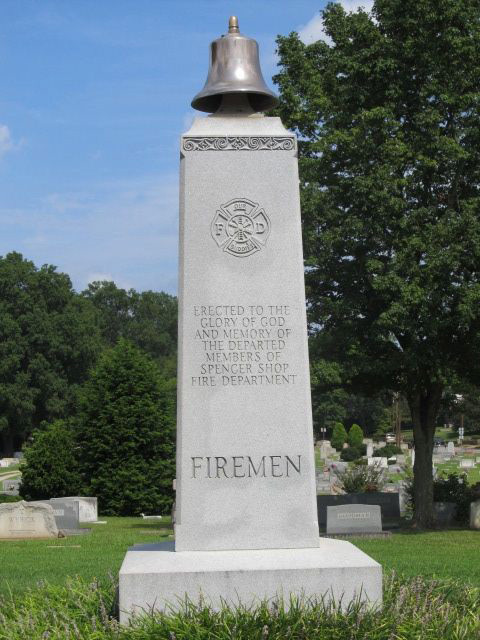 Each side of the obelisk bears an emblem and the word FIREMEN. 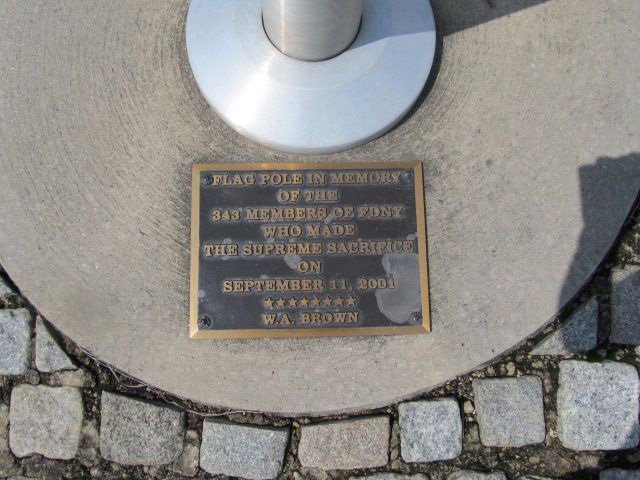 A nearby flagpole commemorates members of the New York City Fire Department (FDNY) who lost their lives during the September 11, 2001 terrorist attacks in New York City. 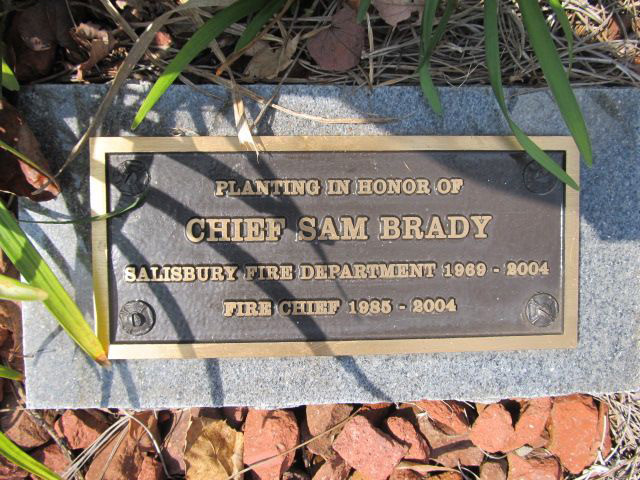 A bench at the site is dedicated to the Locke Township Fire Department, and a bronze plaque in the ground and surrounding garden is dedicated to Chief Sam Brady who served in the Salisbury Fire Department for more than thirty years and as chief from 1985 to 2004. 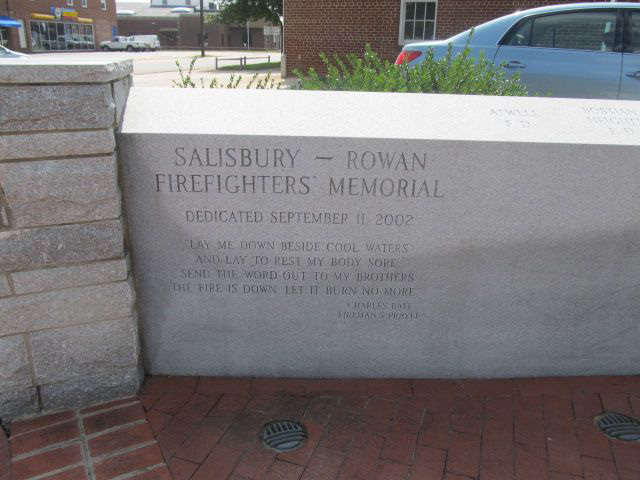 The inscribed wall near the flagpole is dedicated to the Salisbury-Rowan Firefighters, and small stones embedded in the garden honor the names of lost firefighters. 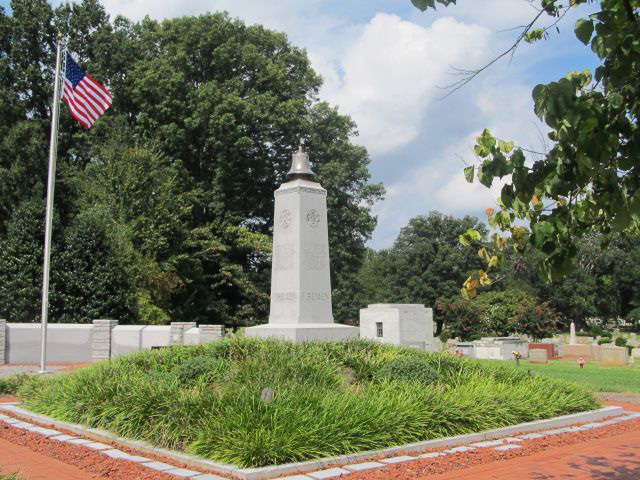 Dedication date: The original monument was dedicated in 1944. 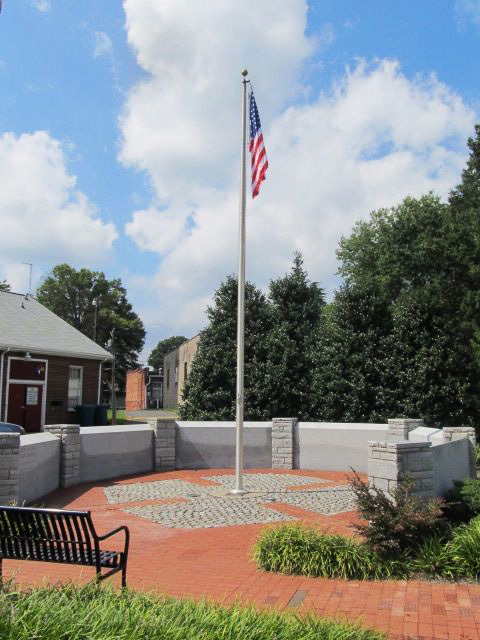 The flagpole and wall were dedicated on September 11, 2002, and the site was rededicated on March 7, 2011 with the expansion of the site in honor of Isler and Monroe. Sponsor: Fundraising for the rededication was accomplished privately. 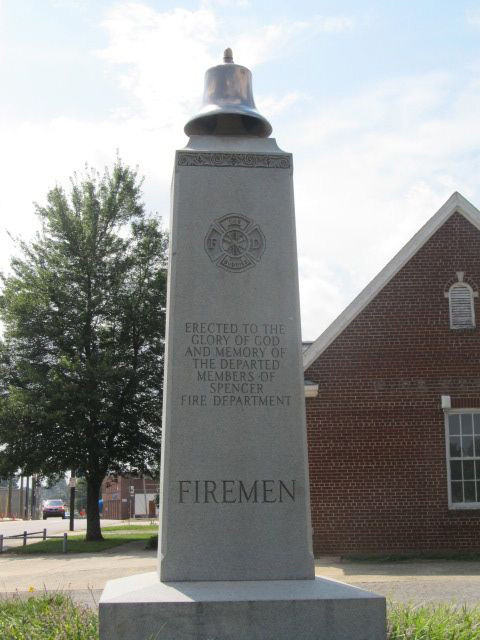 Battalion Chief Bob Parnell and Mr. Joe Morris lead the campaign to expand the memorial. 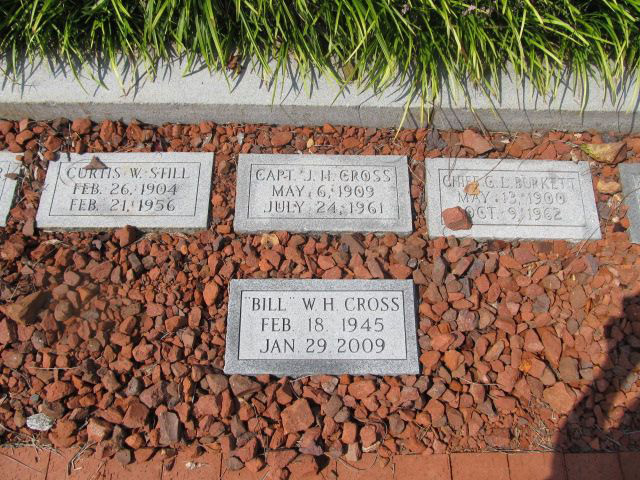 Subject notes: Victor Isler Sr. and Justin Monroe died in the Salisbury Millwork fire on March 7, 2008. 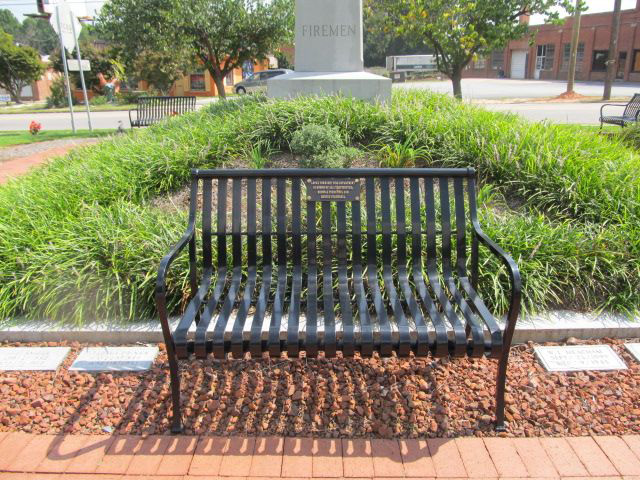 Location: The memorial is located on the north side of South Main Street to the right of the fire station. 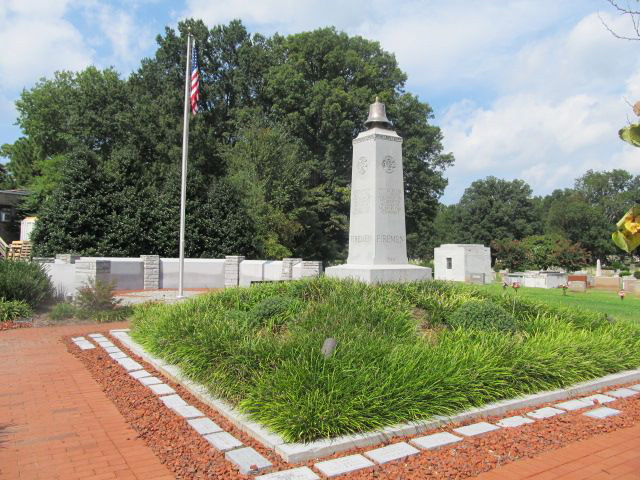 Landscape: The memorial sits in a garden area surrounded by a brick walkway and plantings. 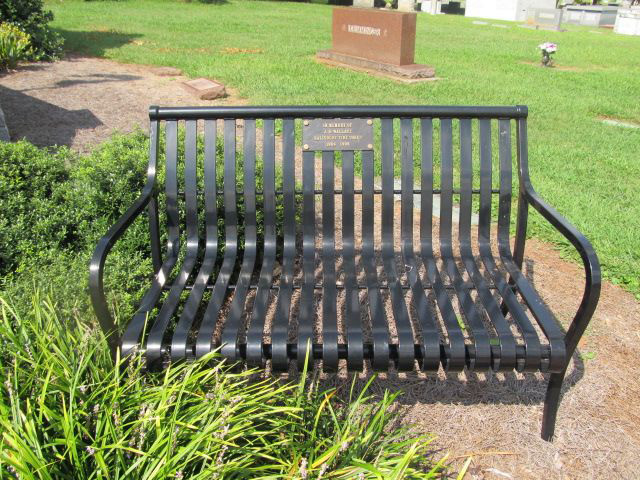 Chestnut Hill Cemetery is located to the right.